If you don’t want to do your taxes yourself—and Dave Ramsey sure doesn’t blame you if you don’t—contact me, Melanie Radcliff, CPA, your Endorsed Local Provider. email Melanie Radcliff CPA, Inc. Still not sure? Think you might be better off doing it yourself online? It really comes down to you, your personal situation, and how confident you are in understanding the new tax laws. But how do you know for sure? What made the good old days (like last year) different when it comes to property, income, and sales tax? Why does it matter if your child was 16 or 17 in 2018? Is there a difference in “is a tax exemption” and “was a tax exemption”? Drawing Social Security? Are you sure your tax status didn’t change? Or did it? You call it a second mortgage, but is it really? You’re not in business. You’re just renting out the old home place. Is there a problem? More or fewer itemized deductions are better or worse? Really? Always? When? Are you OK with your answers? Did you know the IRS has only limited time, funding and staff for audits? They know how to pick them. DIYers, pop-up shops and big box seasonal cubes are good targets. In 2017, the IRS audited 1 in 160 individual tax returns. Not random selections. Their algorithms were set to catch the right ones! 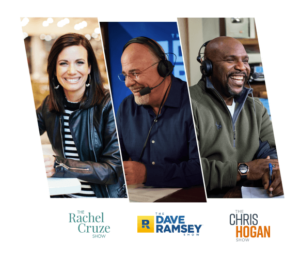 As your Dave Ramsey Endorsed Local Provider for tax services, you can trust me, just like Dave Ramsey trusts me. Being an ELP isn’t easy; it’s hard work because I’m held to a higher standard of excellence. While I do pay a fee to cover program maintenance and employment costs, Dave’s recommendation is not bought–I’ve earned it. At Melanie Radcliff CPA, Inc., our goal is to become part of your overall life and business goal planning team so that you’ll be able to establish your own goals and know that you have a trusted professional on your team. We establish and maintain a personal and business relationship with our clients.